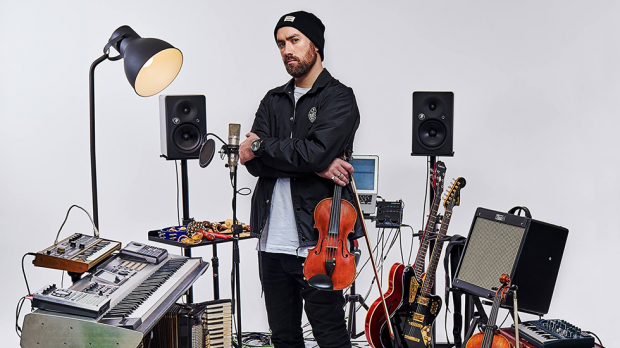 Kruger James is the moniker of Perth hip-hop artist, multi-instrumentalist and beat-maker Brian Kruger, who has just celebrated the release of his first album Slouching Towards Nirvana with a successful launch at the Rosemount Hotel. First single off the album Portrait In Rap is a showcase of Kruger’s talents, demonstrating his ability to play the guitar, piano and violin on the track, as well as deliver a solid rap performance and hold down a tune in the choruses. Portrait opens with lush piano which is followed by simple beats, a strum of guitars and ambient loops that provide Kruger with the space to introduce the listener to his point of view: “I’m not radio friendly, and won’t change my tune, I say the hard things, that most are not able to”. The choruses act as a counterpoint to this grittiness, containing a beautifully melodic turn which provides some relief from the grinding desperation depicted in the verses. I will point out that there is an expectation that I should know what Kruger is talking about when he shares his world. By describing specifically what it is that makes his world “tragic and gruesome”, Kruger may find he is able to connect more deeply and potentially reach a wider audience with his music. Overall, Portrait is a rock solid first up effort and I look forward to hearing Kruger slouch even further and expand on the tantamount ambition and skill that he has demonstrated on this track.